Custom cut STANDARD carbon fibre sheet is manufactured using multiple layers of genuine 100% carbon fibre infused with epoxy resin creating a high stiffness, high strength, light weight and aesthetically pleasing material. 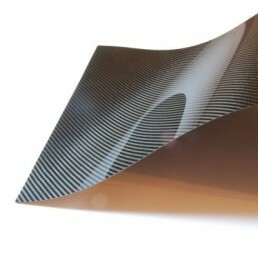 All STANDARD carbon fibre sheets have a glass transition temperature of 90oC i.e. maximum use temperature. Select your required thickness and custom length and width from the menus below. 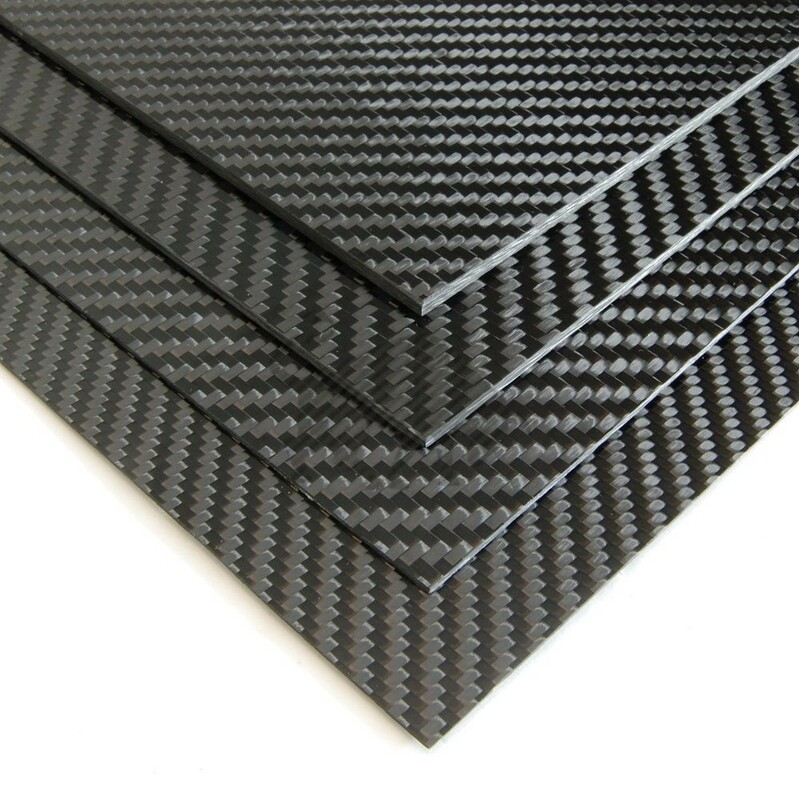 Our custom cut STANDARD carbon fibre sheet is manufactured using multiple layers of genuine 100% carbon fibre infused with epoxy resin creating a high stiffness, high strength, light weight and aesthetically pleasing material. The sheet possess a mirror like gloss finish on one side and a texture/matt finish on the other to enable optimum bonding. The gloss side of all our carbon fibre sheets are covered in a removable protective film that will help prevent marking/scratching and maintain the glossy surface finish when you’re cutting and finishing the sheet for your application. Marine: Structural panels, flooring and partitions. Automotive: Race car components and structures; dashes, structural panels, floor/wall panels, chassis parts. Consumer: Architectural structural panels and partitions. Dimensions: up to 2440 x 1220 mm +/-5.0 mm. All our carbon fibre sheet, plate and panel products are manufactured under strict controls with complete record of temperature and pressure throughout the entire manufacturing cycle. All STANDARD carbon fibre sheets have a glass transition temperature of 90oC i.e. maximum use temperature, where if higher temperature is required please shop for our HI-Temp range. All of our structural carbon fibre sheets have been tested for mechanical strength and stiffness in accordance with British (BS EN ISO) and American (ASTM) standards. 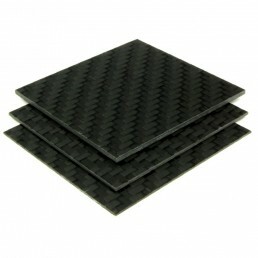 Carbon fibre laminates can be cut with CNC routers, waterjet and manual methods with appropriate cutting tools. We recommend carbide tools, abrasive type cutters, or diamond coated tools. Our carbon fibre sheets are easily edge sanded by hand or belt sanders allowing you to trim close and sand to final dimensions for a smooth and clean edge.